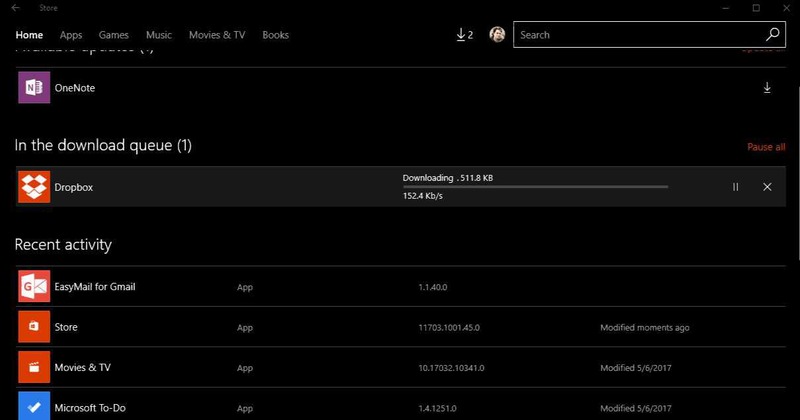 Microsoft is rolling out a new Windows Store update 11703.1001.45.0 for everyone on Windows 10. The latest update brings improvements to the Windows Store. Firstly, the Windows Store now has an improved progress bar for downloads in the Downloads & Updates section. The new progress bar design shows the download speed. In addition to the improved progress bar design, Microsoft also brings easier sharing option for apps on the Windows Store. The new share icon is now available next to the Launch/Install button for app and game listings. Microsoft will gradually roll out the new Windows Store update 11703.1001.45.0 to everyone.